I am dreadfully behind on our Halloween preparations. We haven't even gone to see the bats yet! That was supposed to happen on the first of October! So of course we don't have any pumpkins yet. It was too warm to carve them anyways. But it is cooling off and we are about ready to plan a trip to the pumpkin patch. 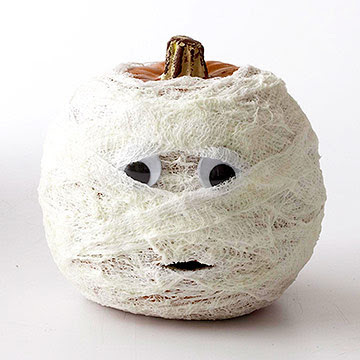 Here are some fun ideas for carving pumpkins, like this mummy pumpkin from BHG, that require little or no use of a knife. 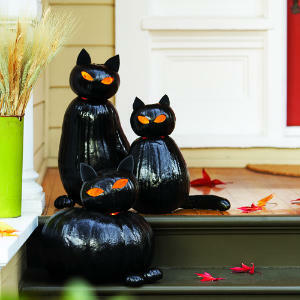 They are perfect for decorating pumpkins with kids. 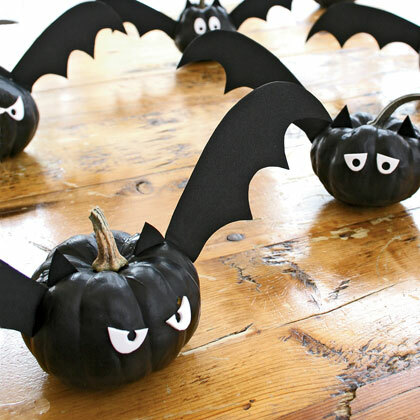 Bat pumpkins from Family Fun. 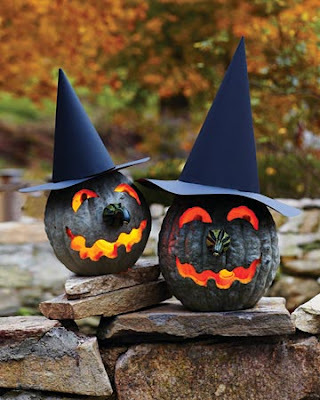 The kids could decorate the hats while you carve the pumpkins! 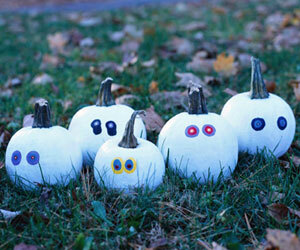 What is your tip for carving pumpkins with young kids?